Acidophilus probiotics are naturally occurring bacteria found in the digestive system. It can also pertain to a type of probiotic nutritional supplement that contains the acidophilus specie, which is part of the Lactobacillus family of bacteria. Primarily, these good bacteria protect the stomach from bad bacteria that may cause certain digestive disorders. Among the most common of these disorders are diarrhea, constipation, irritable bowel syndrome and gastroesophageal reflux disease. The term probiotics, on the other hand, pertains to manufactured live microorganisms made for the purpose of topping up the level of good bacteria that are naturally found in the stomach. There are several microbes that can be used to create probiotics, with acidophilus being one example. Lactic acid bacteria and bifidobacteria are the two most common microbes used when making probiotics. Aside from increasing the level of good bacteria in the gut, acidophilus probiotics can also be used to replace good bacteria whenever depletion occurs due to infection or the use of strong medications. Probiotics that contain acidophilus can produce lactase, an enzyme that helps the body digest milk sugar or lactose. This ability has given hope to people who are lactose intolerant or are unable to produce lactase or do not have the ability to digest milk products. According to some claims, probiotic acidophilus can help these people digest milk products. However, this claim has yet to be established or fully proven and experts are still conducting further studies to better understand whether this is really possible or not. Another ability associated with probiotic acidophilus is the production of vitamin K. Lack of this particular vitamin may result in digestive disorders and even damage to the liver. There are theories that because of this, this probiotic can indeed be very helpful in addressing liver and stomach-related issues. However, more studies are also still needed to establish these theories as facts. Generally, probiotics have been found to be safe to take as nutritional supplements. However, some studies have claimed that their benefits are minimal at best. This claim stems from studies showing that probiotics usually do not survive exposure to stomach acid and are often eroded by manufacturing procedures and food treatment techniques. Although there have been questions about the level of efficacy that probiotics can provide to the digestive system, experts believe that these microorganisms do have some benefits, particularly in the long run. 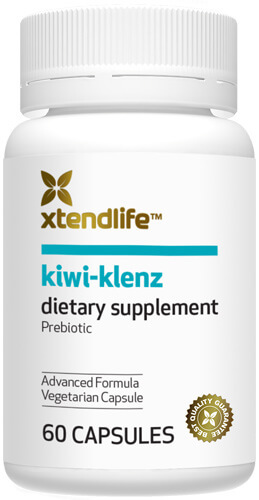 Because of lingering doubts over probiotics’ efficacy, some experts have recommended prebiotic supplements like Kiwi-Klenz instead. Prebiotics are non-digestible naturally-occurring food ingredients that are not affected by heat, cold, manufacturing techniques or stomach acid. They remain unaltered even when they reach the colon and are able to perform their intended function without any problem. This function entails providing food to the bacteria present in the stomach and stimulating their growth and activity. Prebiotics can be found in plant species like kiwi fruit, artichokes, leeks, garlic and onion. Although acidophilus probiotics can help keep our digestive system healthy, opting for prebiotics may be better, given these ingredients’ profile and efficacy level.